Family Dentistry Humber Valley Dental in warmly welcomes you to our online practice. We strive to provide amazing dental care for our patients so that they can achieve optimal oral health. We’ve been serving the Bolton, Caledon, Nobleton, Palgrave and surrounding areas for the past 28 years and we couldn’t have asked for better communities. Every person that comes into our practice isn’t just another patient but is part of our extended dental family. Each of our team members is trained to the highest standards and brings a wealth of knowledge and experience to our practice. 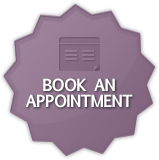 We are committed to providing exceptional dental care in a warm and caring manner. Whether you require a checkup, cleaning, or filling replaced, our team is here for you every step of the way. If you are looking for top-notch personalized dental care in Bolton, look no further than Humber Valley Dental. Get in touch with us at 905 857 3398. Taught secondary school for two years. Returned to university - University of Western Ontario’s Dental Program. Our Bolton-area Dentistry newsletter includes tips & valuable info to help keep your teeth & gums healthy.